A former academic who thinks he is really King Tut has returned. Batman and Robin seek his capture. 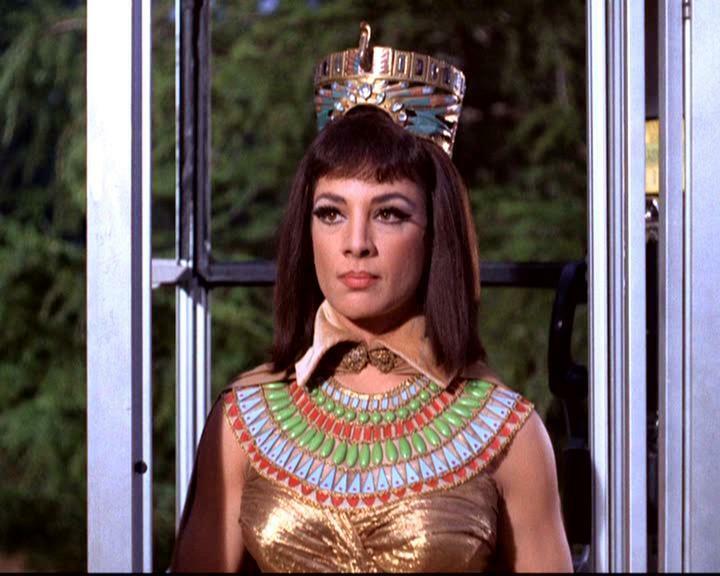 A twist occurs, however, when King Tut's gang kidnaps Bruce Wayne. They are taking the millionaire in an ambulance. As Bruce tries to get free, the rear doors of the ambulance open and Bruce rides a cart toward a cliff. Victor Bono is a great choice to play an Egyptian King, though there is a few winks and grins taken with history here as in other parts of this series. Suddenly, an Egyptian Statue appears in Gotham Park. A curse is announced. Ring the Bat Phone, oh tut tut. Still the clever Tut kidnaps millionaire Bruce Wayne, only for some reason henchmen put him in the back of an ambulance and drive him up a huge hill. While going up the hill, Wayne escapes only to be headed for a huge cliff and certain doom. Oh, this one deliciously defines the cliff hanger literally. What can possibly be better? Hang on tomorrow, and find out. Don't forget that Tut is still not mellowing in his resolve to get the caped crusaders. "The Curse of Tut" marked the introduction of an arch criminal created especially for the TV series, with the unforgettable Victor Buono seemingly born to play the role of the larger than life Egyptian pharaoh, formerly a renowned Yale professor of Egyptology who was bopped on the head during a school riot and awoke believing himself to be a modern day reincarnation of the boy king, and to reclaim Gotham City as his kingdom. A mysterious sphinx appears in Gotham Park to announce his presence, Tut's goal to kidnap Bruce Wayne for a handsome ransom, while eliminating Batman and Robin. His lovely queen is the enchanting Nefertiti (Ziva Rodann), who makes cryptic pronouncements written on cue cards to keep the populace in terror. 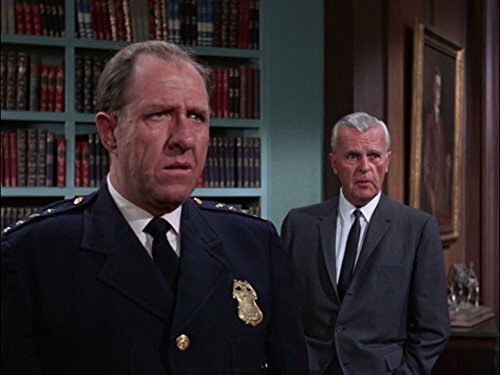 His main henchman is the Grand Vizier, played by longtime Western veteran Donald Barry, who would return as one of Tallulah Bankhead's goons in "Black Widow Strikes Again"/"Caught in the Spider's Den." This and the second Tut two parter were the only scripts contributed by the team of Robert C. Dennis and Earl Barret. For once, the cliffhanger is actually literal, the kidnapped Bruce Wayne tied to a gurney and hurtling toward a 300 foot drop!